Wells St. and Locust St.
George Flach (Flack) was born in Baden, Germany in 1828. His wife, Clara Schaefer was born in Baden, Germany on 26 Feb 1835. George arrived in Chicago in 1854 and Clara in 1853. They were married in 1856 at St. Francis of Assisi Church. George died 16 Dec 1870 and Clara died 1 Jan 1915. They are buried in St. Boniface Cemetery in Chicago. For further details, contact the Chicago Genealogical Society. 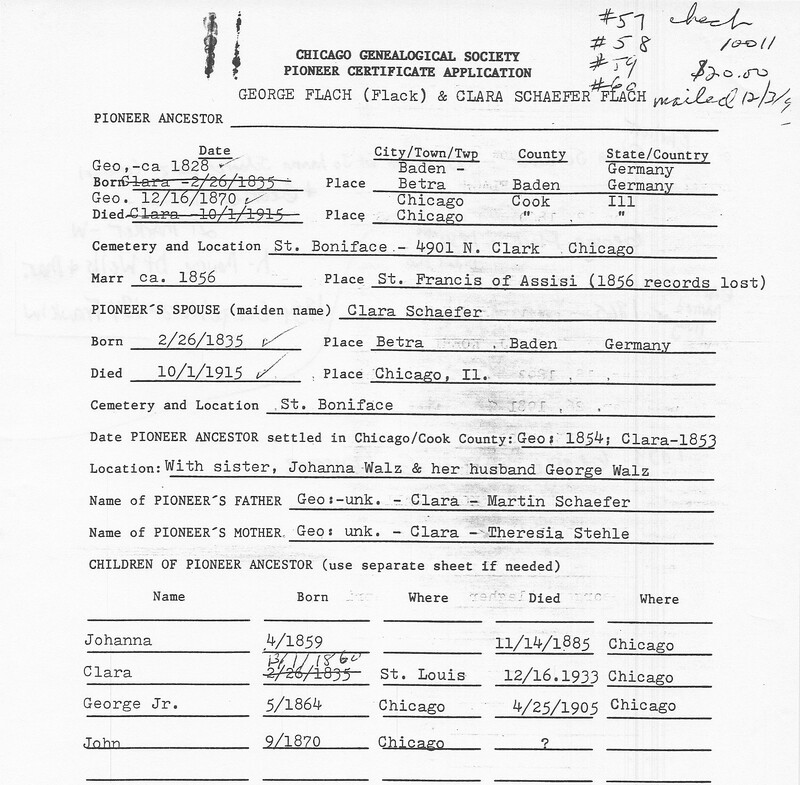 George Flack is Pioneer Ancestor number 57-60.